I recently picked up a new Canon EOS R camera. It's my first experience with a full-frame mirrorless system, so admittedly I'm a little late to the party that has been led up to this point by manufacturers other than Canon. However, now after a couple of months of hands-on use in the field I can confidently join the rising chorus and say that this feels like an irreversible step forward in camera technology. Among a number of novel attributes, I'd like to touch on one of the EOS R's more salient mirrorless features that I've really grown fond of. After owning the original Canon 5D, followed over time by the Mark II and III, I decided to skip the fourth iteration of this solid line and make the leap from a camera body with an optical viewfinder to one with an electronic viewfinder or EVF. In short the EOS R's viewfinder is killer. Beyond a number of other systemic enhancements that the mirrorless system affords in terms of autofocus point coverage and accuracy, the EVF grants one a live view of the soon-to-be-exposed scene based upon the camera's current shutter speed, aperture, and ISO settings. What this translates into among other things is the ability to compose and shoot in extremely low light. The viewfinder no longer simply acts as a mirrored reflection of the world in front of you but instead offers a depiction of how the camera sensor is capturing and interpreting light coming through the lens. As a result, what the EVF displays is an accurate representation of how an image will eventually be exposed once the shutter is triggered. This gives the photographer detailed real-time visual feedback and compositional control before a shot is fired. And because the sensor's signal can be amplified through higher ISO settings, and the EVF seamlessly reacts to such changes, the effect is something akin to night vision when the system is paired with fast glass. 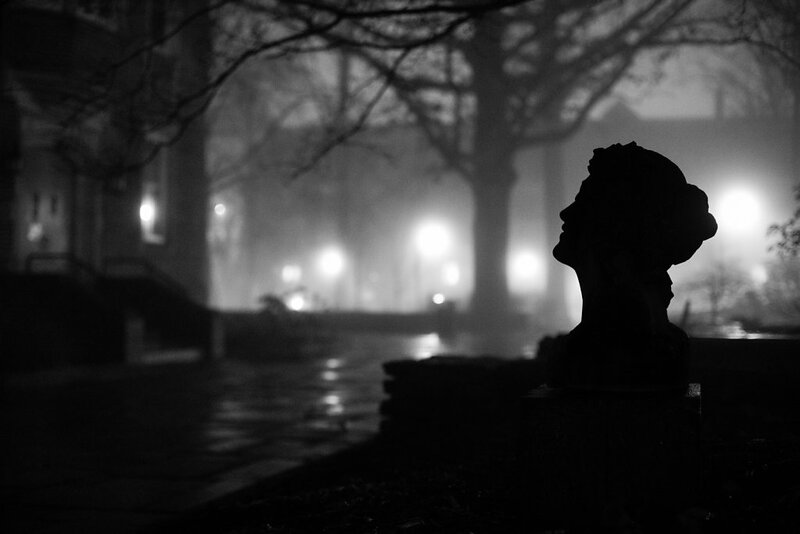 Along with the image above, here are a few additional shots from a week ago that I took while walking across campus on my way home for the day. 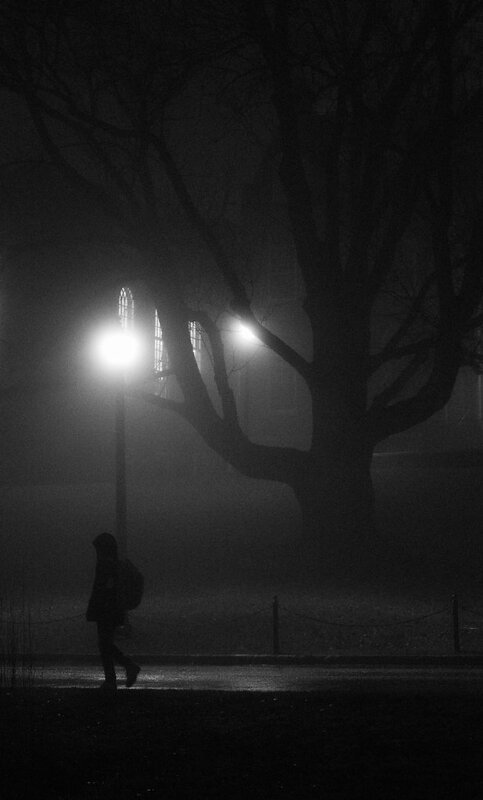 A steady mist was falling, and heavy fog blanketed the evening. Normally these are tough conditions to grab critical focus and to dial in a decent, balanced exposure. The camera, however, easily excelled in both regards through my use of the EVF while simultaneously toggling a few control dials all within easy reach. No need to fire, slowly chimp the shot, adjust focus or exposure, and then re-compose. Instead, I was handling a tool that was really working with me as I was moving and seeing. Because I like to selectively push and pull tones in post for creative effect, particularly when working in black and white, some of the resulting shadow regions in these processed shots were intentionally clipped in areas. However, when I initially brought the images into Lightroom for editing, I was pleased to note that the camera raw files had ample dynamic range to work with. 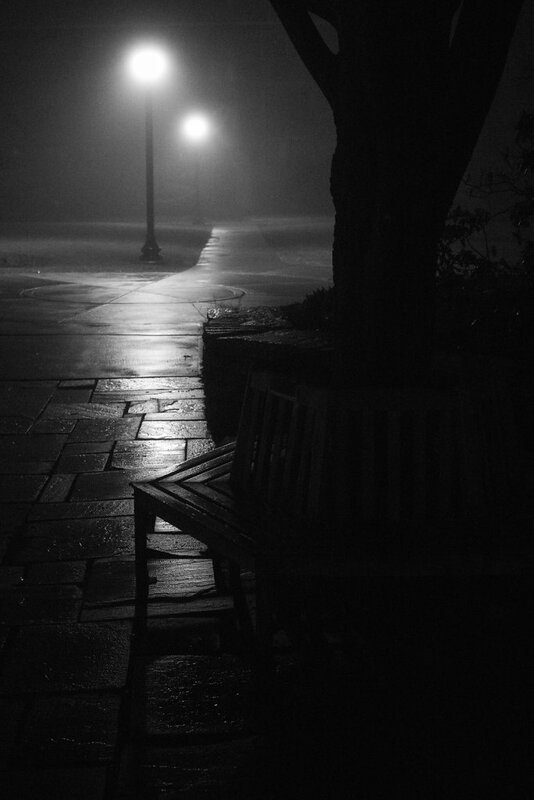 This was particularly appreciated in images such as these night shots which contained both very bright highlights and deep shadows. Is the EOS R's available dynamic range as broad as that found in medium format digital camera systems or even other DSLR competitors? Most likely not. But it is certainly usable. In summary, my early experiences in using a mirrorless system have fostered a growing sense that I'm peering into photography's future. So far I like what I'm seeing. After our initial test phase concludes, we hope to eventually begin work on aspects of the Connecticut Archaeology Center's bone collection and selections from the department of Ecology and Evolutionary Biology's Biodiversity Research Collections, both of which are housed nearby on campus. Last week, I woke up to what has become a yearly Springtime visit. 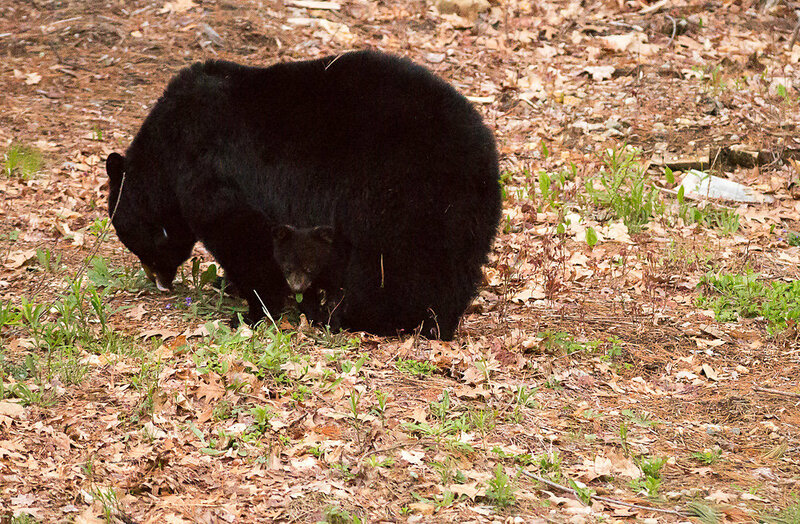 This particular season brought a mother and three young black bear cubs to the homestead. 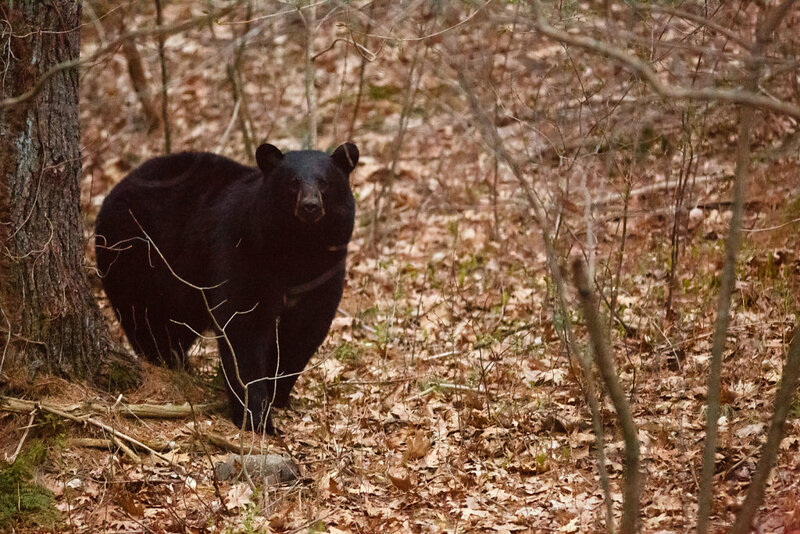 After emerging from one of the trails that I've cut through our woodlot, they slowly made their way across the still un-tilled garden and past the shed. Eventually the quartet landed in a clearing where I have had vague plans on building a hoop house. 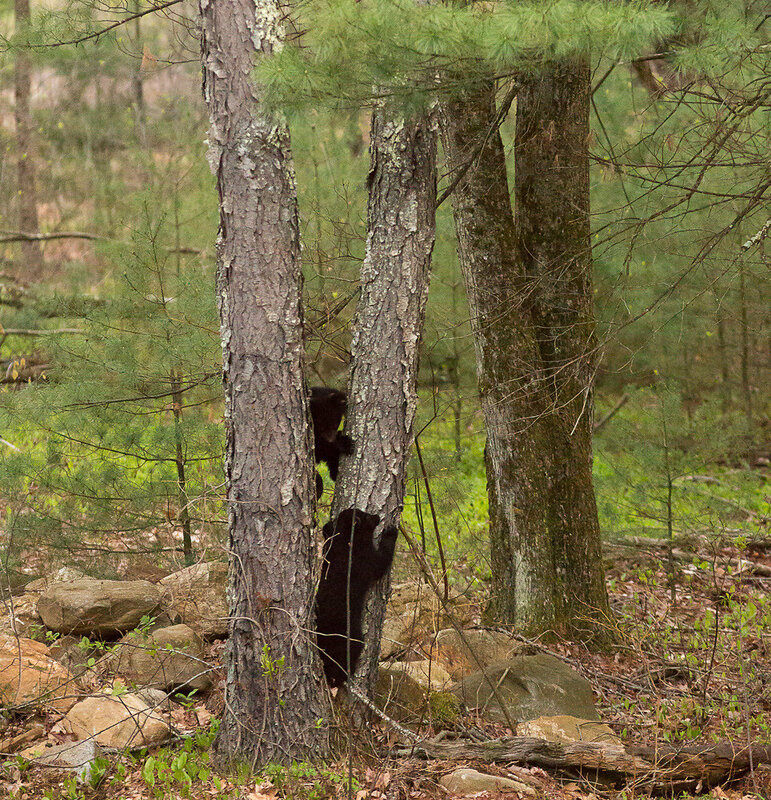 After a while, though, eating their greens became a bore to the cubs. Climbing a nearby black cherry tree proved to be much more fun. All of these images were taken on May 3rd at around 5:45AM from a slightly opened upstairs bedroom window with a Canon 5DIII, 300mm f/4 L combination shot at f/5.0, ISO 20000 in dim light. 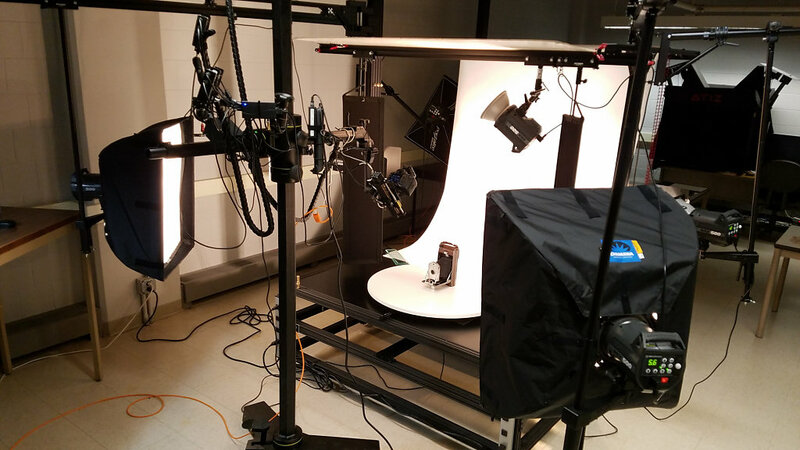 Often when scoping out digitization projects, devising complementary conservation treatments that assist in digital capture are challenging aspects of overall workflow design. And so it has been the case with our recent efforts at UConn Library on a set of 19th century Latin American newspapers from the University's archives and special collections. Over time the thin, pulp-based and acidic periodicals have become brittle, broken, and in some instances creased in ways that obscure the print. Humidification is a common conservation technique that can be used to relax these creases in order to once again flatten the paper and allow for subsequent digital capture of hidden text. In the following 40 second time lapse video my colleague and UConn Library Conservator, Carole Dyal, employs her lab's humidification dome to start the initial prep work on a two page spread. The entire process in real time takes approximately 15 minutes per sheet. Once the pages are humidified, they are then sandwiched between layers of polyester webbing and blotter on the lab's large work tables. On top of this goes a heavy 1/2 inch piece of plexiglass which acts as an even surface weight across the sheets below. 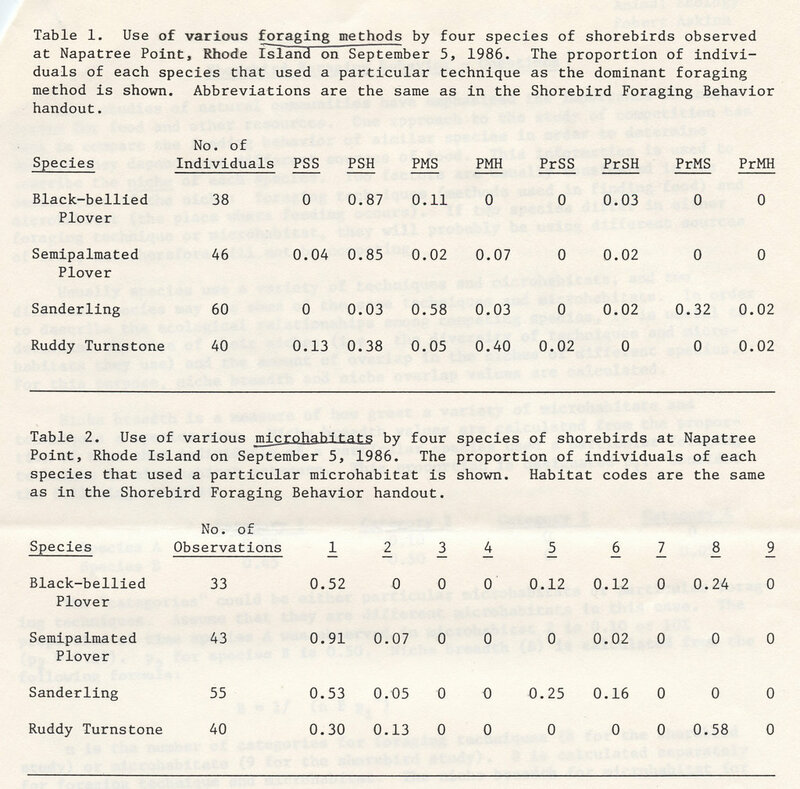 The before and after transformation to the paper that results from this careful process is quite remarkable and greatly assists my lab's subsequent photographic efforts toward creating archival-quality page images. Brittle paper that ultimately has become broken presents its own complications often in the form of a jigsaw puzzle. 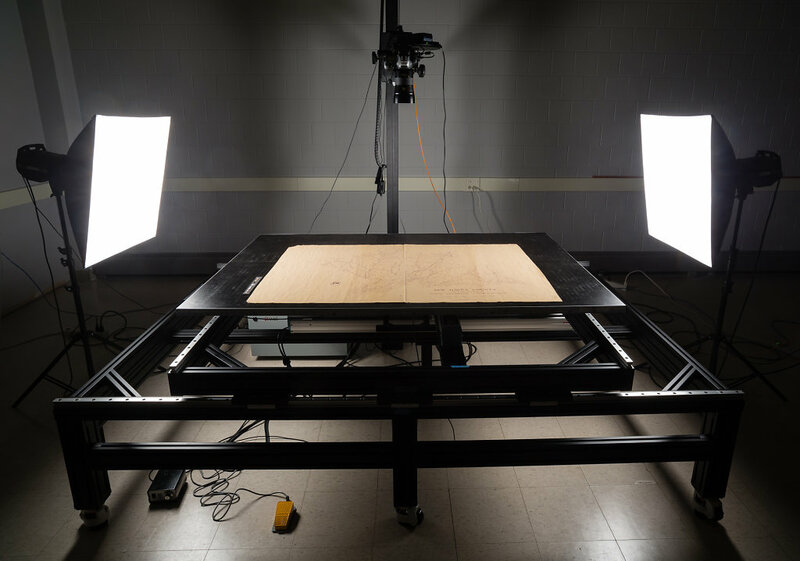 Fortunately, one of the unique design features of the digital production lab's X-Y table is its controllable electrostatic surface that can be used to temporarily hold down folded paper remnants during shooting. These remnants can be particularly problematic at newspaper folds where broken page sections can "spring" in the air and become difficult to lay out flat with their corresponding halves. Fragile, oversized materials like old newspapers are often best transported to and from the deactivated table surface with a heavier, alkaline carrier base. For this project .010 inch folder stock, cut to size, is being used. Once on the table, a problematic fold can be addressed with selective application of electrostatic force coupled with some gentle, manual pressure. 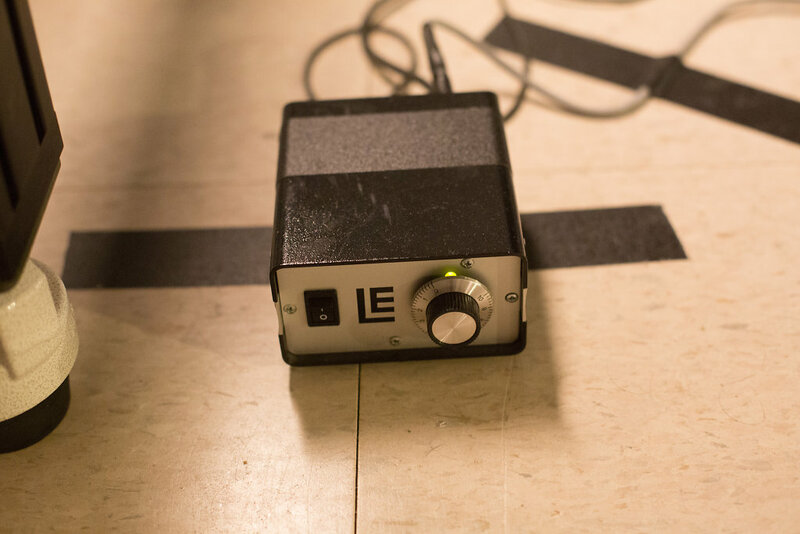 If you listen carefully, you can hear me hit the stomp box on the floor to activate the system's foot switch. 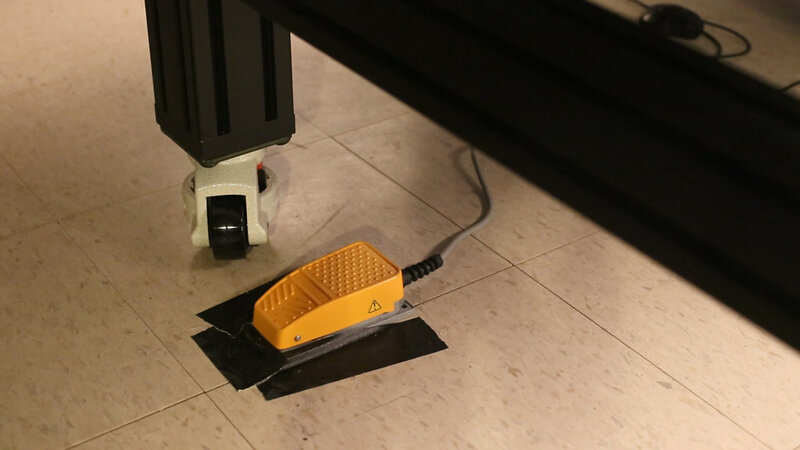 The foot switch allows for effective hands-free control, which enables the photographer to coordinate the table's downward pull in combination with their own physical manipulation of the paper. In this instance, the paper break is harder to elegantly fit together as the delicate page edges are a bit more ragged on this side. However, the text is at least made readable through the process, even while not being perfectly in line. 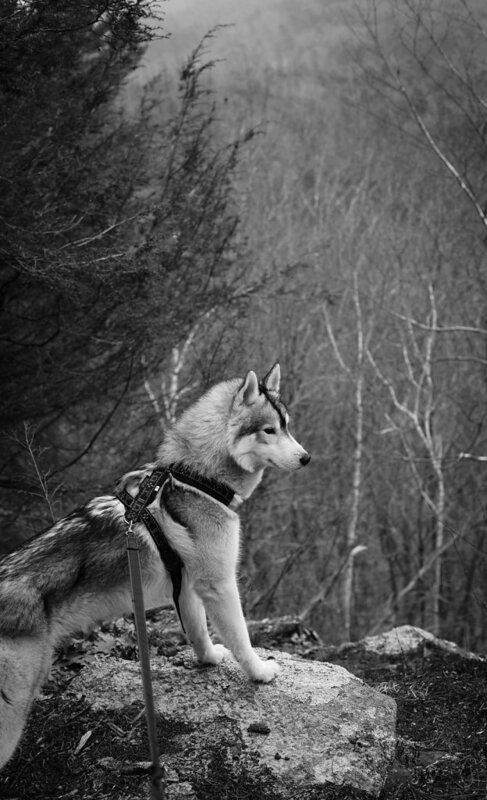 Individual images are then taken of each page at 400ppi. In between shots, the X-Y table (not the newspaper) is moved along its Y-axis to position the next page directly under the overhead camera. In this way, manual handling of such fragile material is minimized and in turn made more automated, faster and precise. Finally, a word about the periodicals and their cultural significance. 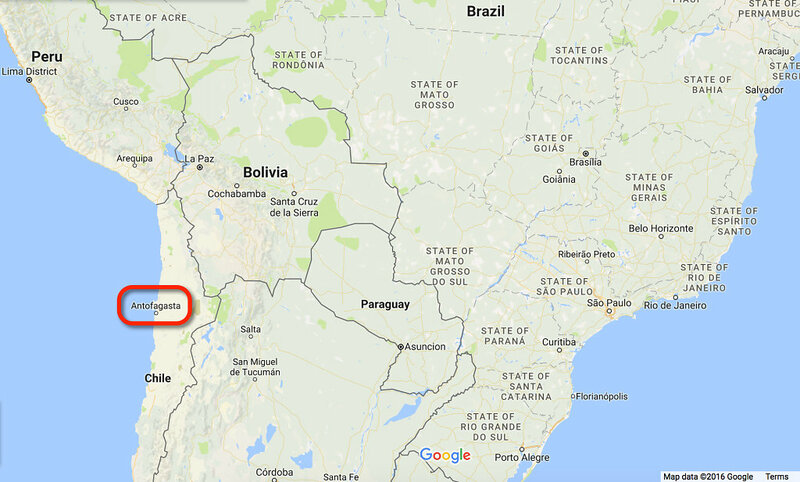 They were originally published in the Bolivian port city of Antofagasta just prior to the 1879-1883 War of the Pacific which pitted an alliance of Bolivia and Peru versus Chile. Chile would go on to win the conflict and capture the city that has remained important through time not only for its access to the sea but also for its proximity to the rich mineral resources of the area. Printed during a period of regional strife and subsequent transition, the newspapers in their digital format will soon offer researchers new, more detailed access to this important chapter in Latin American history. In Part I of this post, I summarized the workflow steps employed in digitizing 9x9 large format film from a 2002 aerial survey of Connecticut. 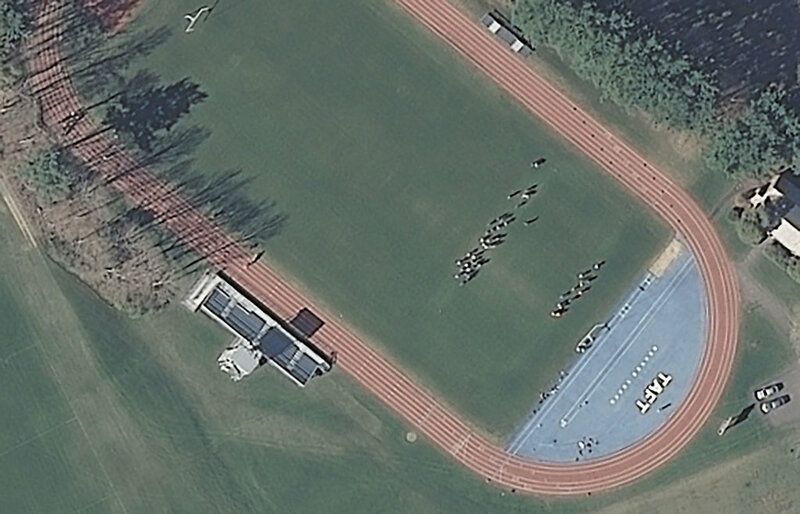 In Part II, I'd like to take a deeper dive into the resulting image and compare it with similar aerials taken through time that used different film stocks and digital technologies. 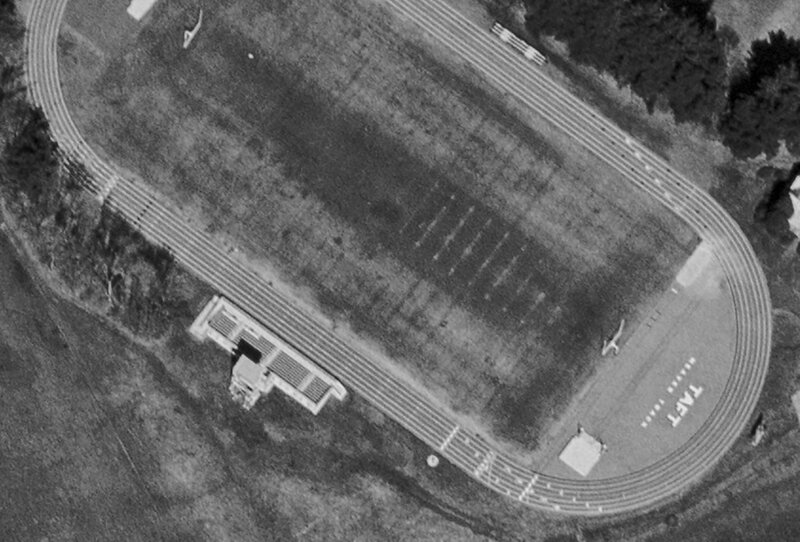 While digitizing the 2002 aerial photo, I also included the film's edge information which like many types of film stocks can contain a multitude of coded technical information. In this case, "Wild 15/4" can be found along the film's upper border. 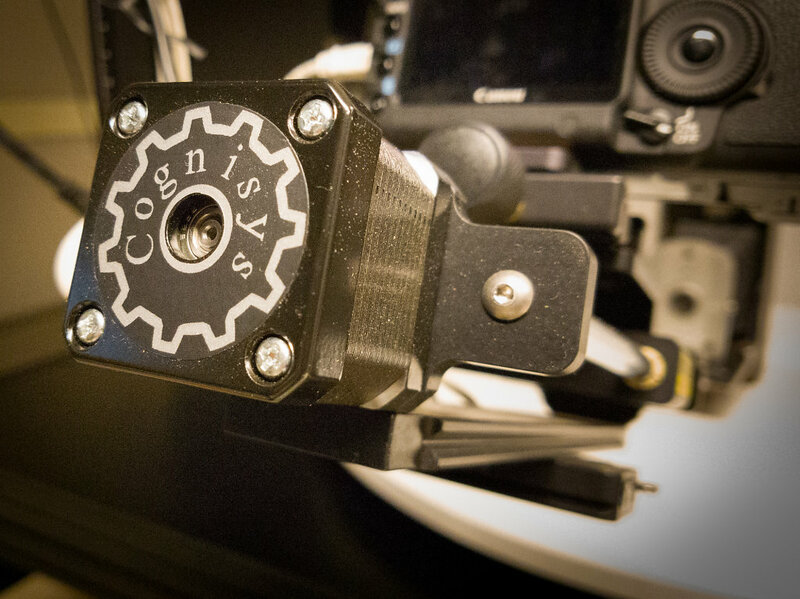 Today's current state of the art aerial camera rigs include the 250MP Leica Geosystems’ DMC III which can capture up to 25,000+ pixels across a single CMOS chip, and Vexcel Imaging's UltraCam Eagle II, a system originally co-developed with Microsoft that can use a variety of interchangeable lenses on its multiple CCD sensor arrays. Finally, if this tale hasn't gotten you fired up yet about aerial imaging, then try Leica's DMC III marketing video below. It's like a great pre-game locker room speech, not necessarily for Taft's football finest, but for those looking to further hone Occam's razor in the name of supreme image-making geekery! 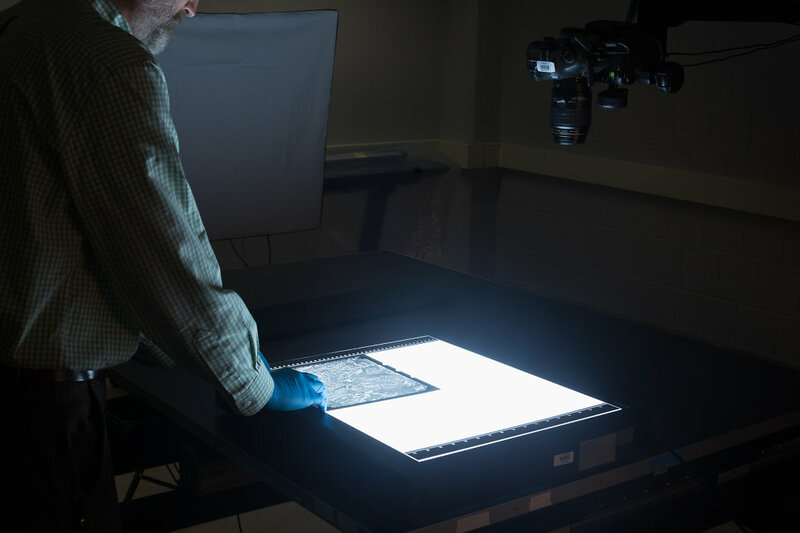 One of the challenges (and rewards) of managing a digital production lab for a university research library is working with the wide assortment of analog formats that are collected within its archives, special collections, and map library holdings. 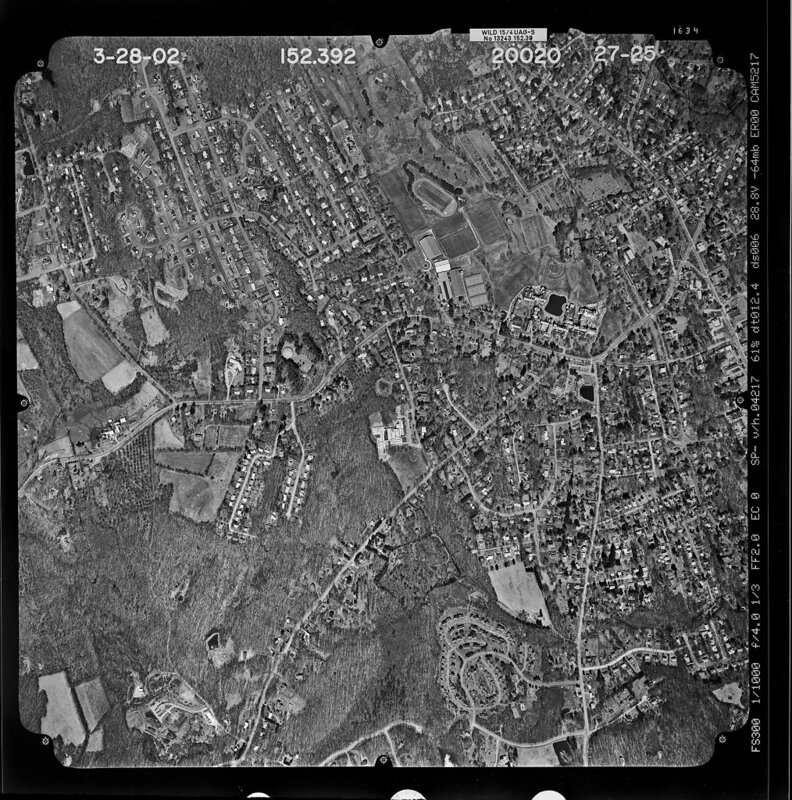 For instance, we've recently begun conversion work on a 2002 aerial survey of Connecticut that was originally shot on 9"x9" positive black and white film. 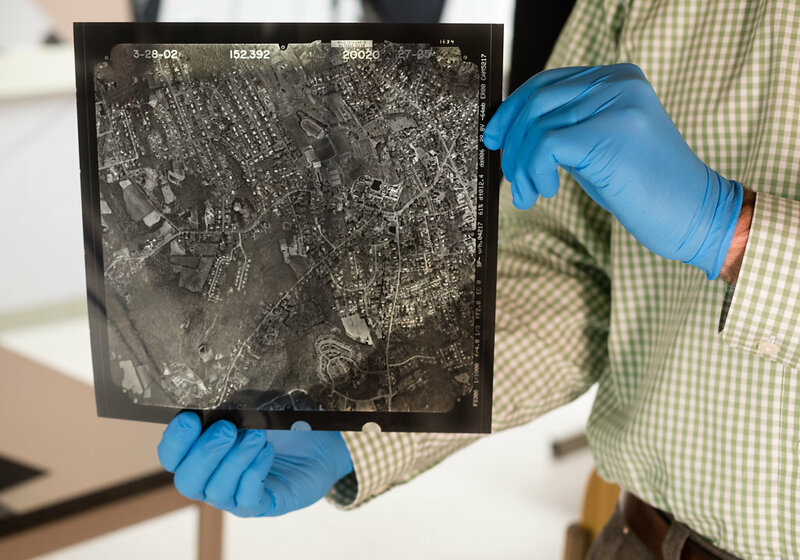 Aerial photo transparencies are commonly turned into contact prints soon after the film is developed. And indeed, we have a large collection of these prints that we've digitized over the years at UConn. 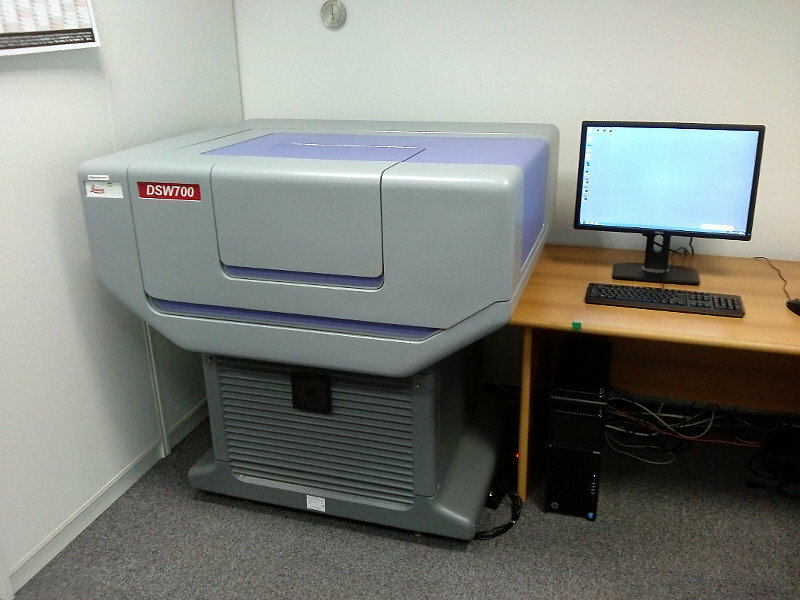 This type of reflective media can be converted in a couple of ways: you can either scan, or digitally photograph the prints at a sufficient spatial resolution. The Federal Agencies Digitization Guidelines Initiative (FADGI) suggest 6,000 pixels across the long dimension of the image area. 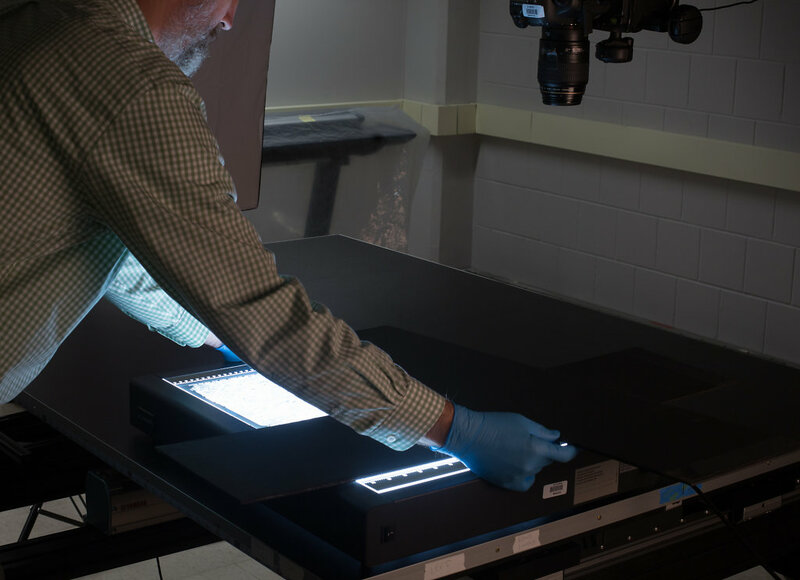 When tasked with digitizing original transparencies, however, certain challenges arise. Unlike reflective media, light needs to be evenly shined through transmissives with a light sensing device placed on the opposite side of the illumination source in order to capture an image. 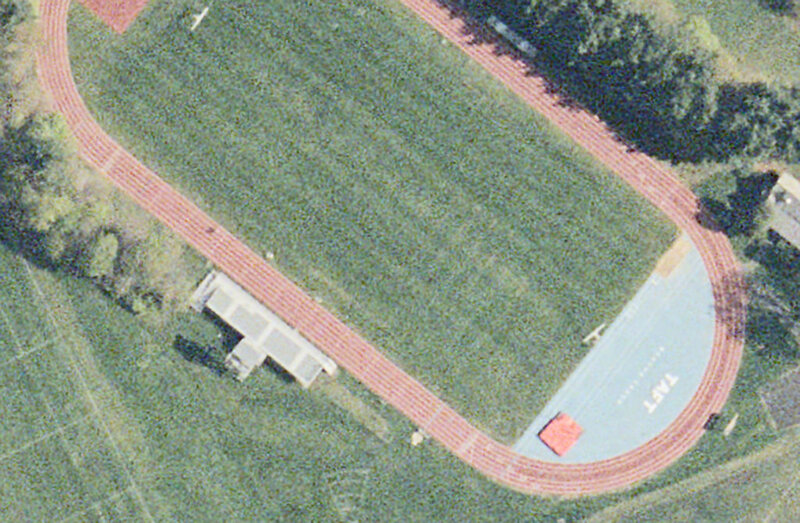 Aerial photography service bureaus, for example, employ expensive specialized large format film scanners that can handle the film's actual 10"x10" physical size (both cut and rolled), lighting needs, and high spatial resolution requirements. As a general rule, photo film contains considerably more visual detail than derivative prints made from film. And indeed, FADGI recommends a considerably greater spatial resolution for the digitization of film vs. reflective prints in this format: 10,000 pixels across the long dimension for aerial transmissives. So, the promise is there for some striking image data if you can engineer a suitable conversion process that is sensitive to both the format's particular handling needs and visually rendered potential. 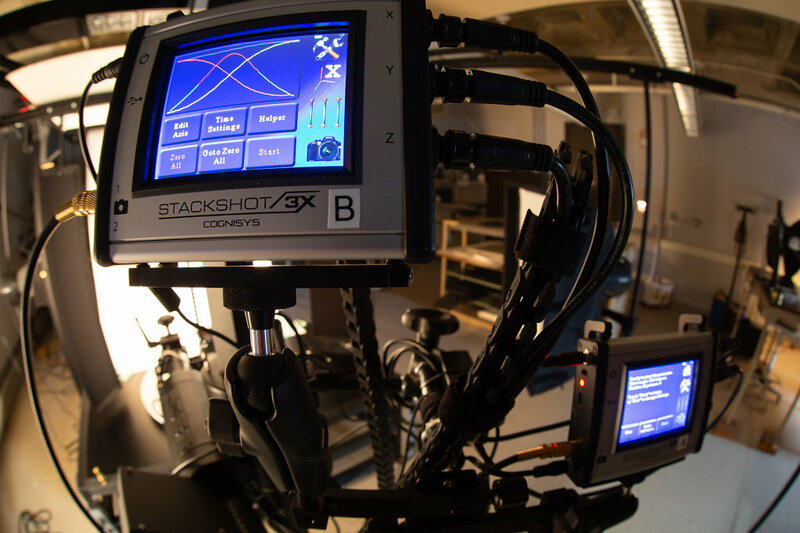 For my own initial thinking on workflow architecture, the demonstrated design concepts behind both high resolution multi-shot camera backs, and DIY Arduino-controlled film scanners seemed like good theoretical entry points. In addition, I wanted to leverage and re-purpose gear that I already had in the lab. So, I thought, let's start with one of the same light boxes that we use for single-shot medium format film conversion. But instead of using a regular stationary copy stand, let's put the light box on the lab's new X-Y table. 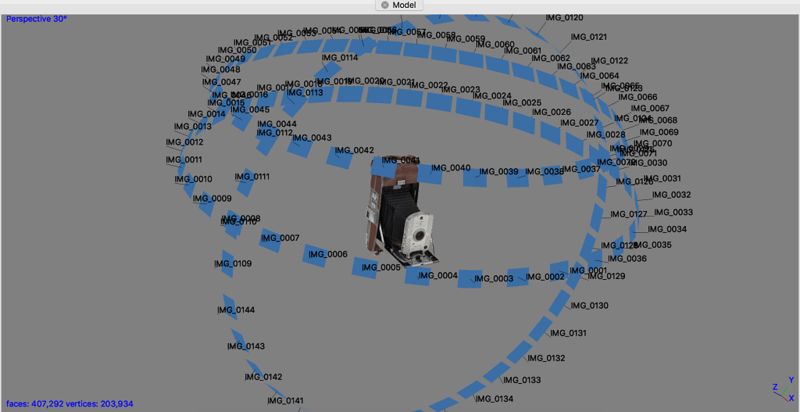 Then, let's program the table's movements and camera's controls to create automated, high resolution mosaics of a given 9x9 aerial transmissive. Finally, let's see if the resulting image tiles can be merged into a single, high resolution image for the entire piece of film. If that proves successful, then we'll be able to determine whether or not the image meets FADGI's 10,000 pixel guideline and also better understand the entire workflow's potential for production. Image tiles were auto-imported directly into Lightroom off of the tethered camera as they were captured. From there, they took a quick trip en masse to Photoshop for final composite image merging. What resulted was an image that was roughly 14,000 pixels across the long dimension, captured as 16 bit data which left plenty of latitude for any needed tone adjustments to more fully express the image's dynamic range. This was encouraging stuff! 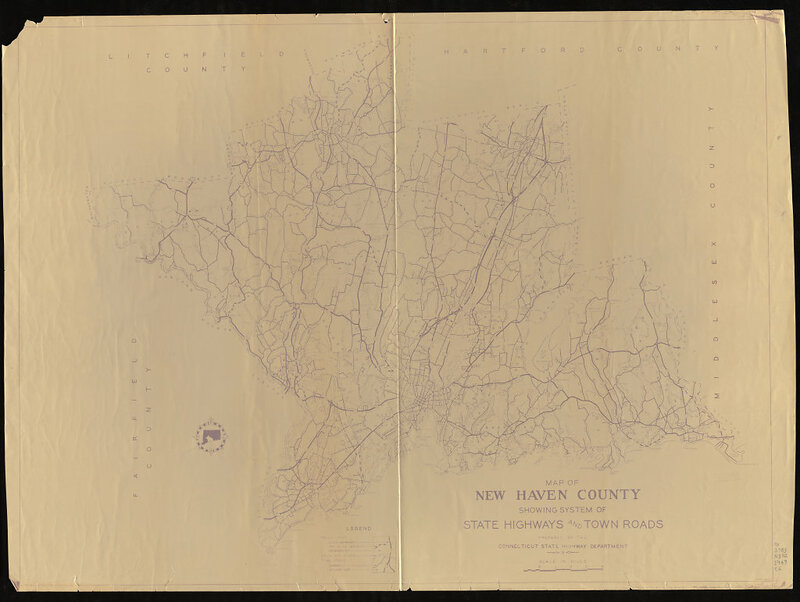 In Part II of this post, I'll take a closer look at this file and compare it with other aerial photographs of the same region of Connecticut taken over time with different imaging technologies. I recently took delivery of an automated X-Y table system for our digital production studio at UConn's Homer Babbidge Library. It marked the completion of a process that began back in February when I had first contacted Michael Ulsaker of Ulsaker Studio with my initial specs for a custom rig. 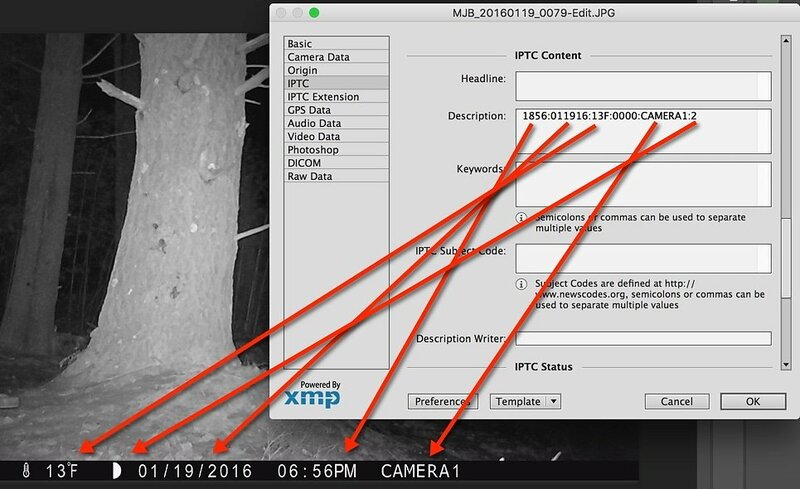 The details of how we worked out the final design, its components, and its system integration and automation are topics that I'll be briefly speaking about at Stanford's Cultural Heritage Imaging Professionals Conference next month in the Bay Area. 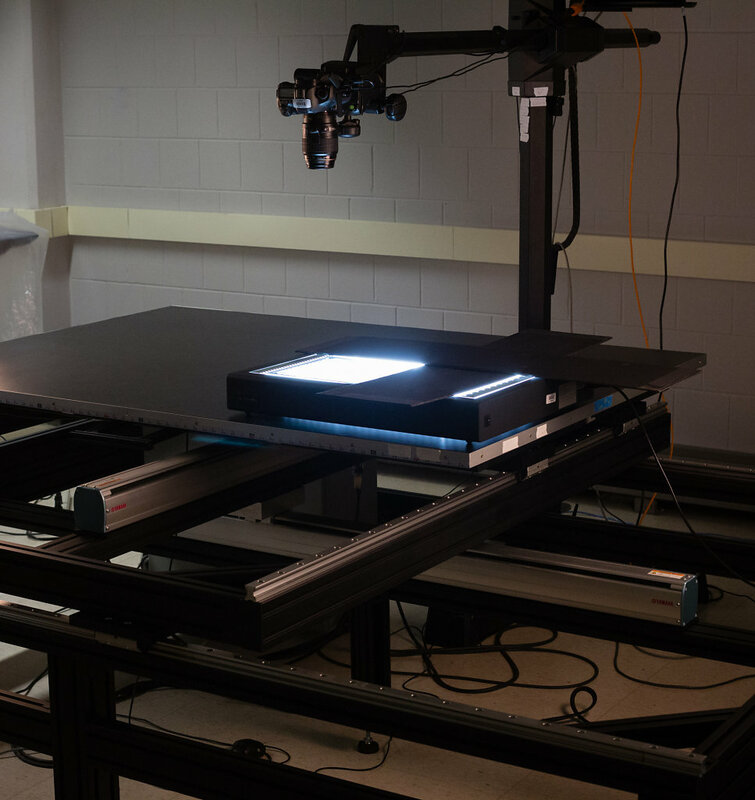 X-Y tables are used in digital capture for the creation of overlapping image tiles for items that cannot be photographed with a sufficient amount of spatial resolution in a single shot. One of the system's main attributes is that once the analog original is placed down on the table surface it doesn't need to be manually moved from shot to shot. Instead the entire support surface moves programmatically beneath a stationary overhead camera. This results in much less handling by the photographer, far greater throughput, and less wear on the mostly old, mostly oversized, and sometimes brittle formats that require this capture technique. Additionally, since the table's programmable logic controller can mathematically calculate a consistent percent of overlap among adjacent image tiles, the resulting shots are very precisely photographed. 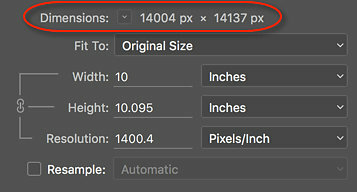 This, in turn, assists Photoshop's Photomerge algorithm to do faster, more accurate image stitching in final post-processing. 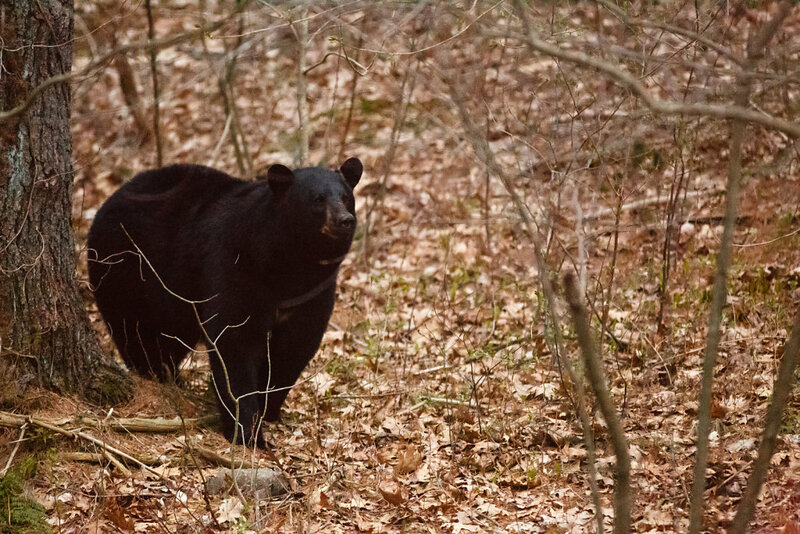 He finally made his way back into the woods, but only after first meandering down the gravel drive towards the road. As it was 7:40PM EST, it was dark and difficult to obtain focus and sufficient shutter speed on these shots. Auto focus was racking wildly back and forth in the poor light and confusing brush, so I flipped over to manual and tried my best through the viewfinder. These were all shot handheld, through our home's double-pane windows with a Canon 5D III, 300mm f/4 IS, at ISO 25600. Lightroom's color noise reduction feature subsequently did a very nice job with the mess a camera sensor can create when set to such a lofty ISO. 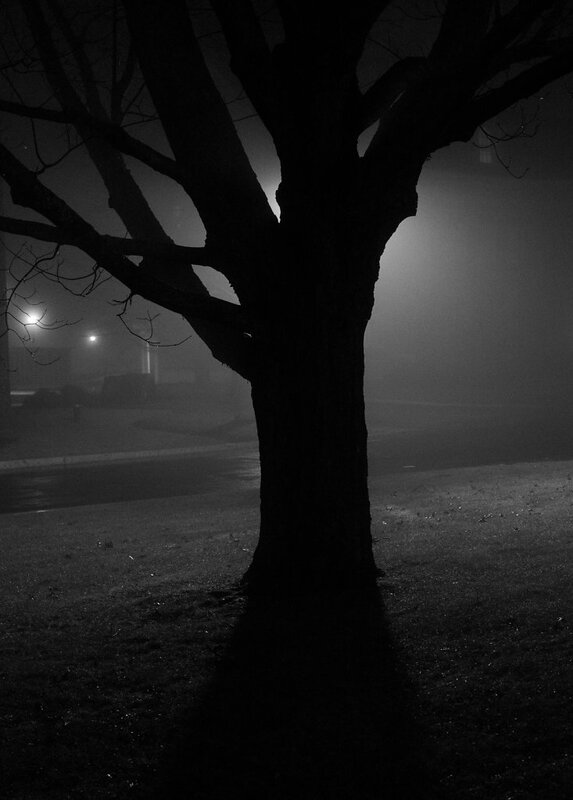 A higher ISO setting in essence amplifies a camera sensor's light sensitivity. This gain in sensitivity increases the signal (i.e. light) but also elevates noise. 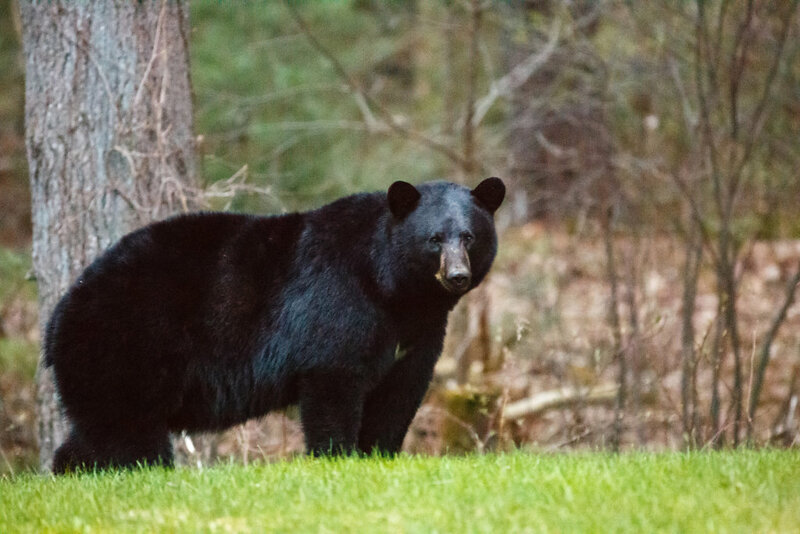 Dark areas in a digital image, like a black bear's fur at dusk, can be particularly noisy due to a weaker signal hitting the camera sensor. This results in a lower signal-to-noise ratio (SNR) and an ugly raw image coming directly off of the camera. Thankfully, there are clever post-processing algorithms out there that can discern noise from signal and turn noise into more visually pleasing image data. 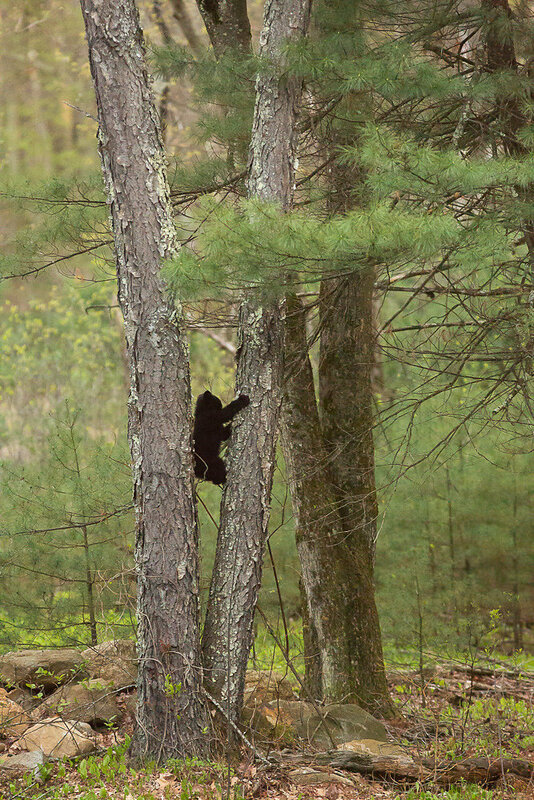 As I shot, I kept wondering if this bear was the same one that we had on our deck last year? Lastly, Tara also took some moving image footage of the encounter with her Samsung Galaxy S6 camera phone. 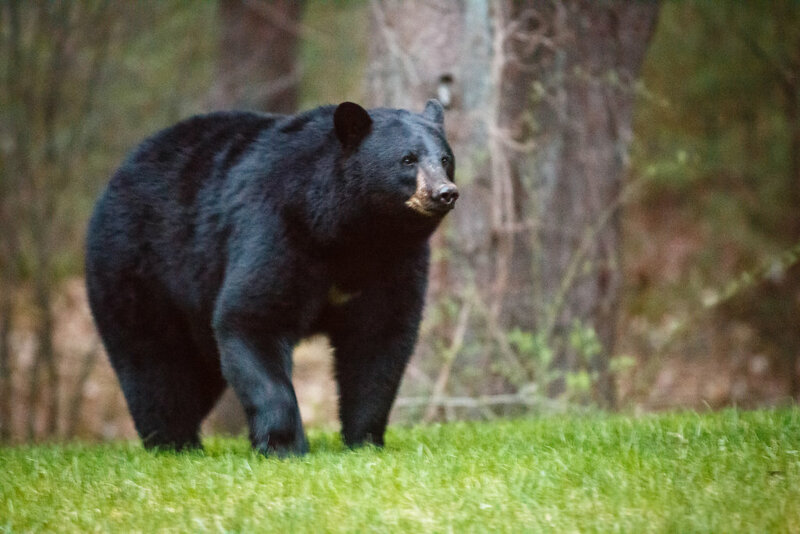 I'm glad the bear didn't mess with my woodshed that I've just finished filling up for a summer's worth of seasoning. This is a fine time of year to be out walking the dog in southern New England as the biting flies and mosquitoes have yet to emerge and get you cursing. Winter's hush still holds sway over woods and field alike, with only occasional breaks for Northern Cardinal and Black Capped Chickadee song. Foliage remains firmly in the bud, leaving the trail-side vistas open through a canopy's bare bones. The shoulder season is also a prime opportunity to explore the coastline. I have been visiting Rhode Island's Napatree Point sporadically ever since an early September 1986 afternoon when as an undergraduate my animal ecology class took a field trip to the area's sandy stretches to study shorebird feeding behavior. I still have Robert Askins' handouts from the time. Dr. Askins was a great and demanding professor from whom I really learned how to reason and write more clearly. Essay exams and numerous paper assignments were the norm of the day, and his corrective marginalia were both unambiguous and instructive. The simple and accurately-worded declarative sentence was the aim. Anything less, and you would be hearing about it in red. For example, I'm not sure why I ever thought so little of Mallard flight during the previous spring semester's animal behavior course. And besides, why would anyone use such a vague descriptor as "adequate" in a research paper? At long last, those condensed, crimson-inked coaching sessions were having a positive effect on my writing style (albeit with noted reservations). All told I took three courses with Dr. Askins during my time in New London. Additionally, he served as my senior honors thesis advisor for two more semesters. By my last term, it was OK for me to call him Bob, and his subsequent recommendation helped me secure my first job: a prep school teaching gig in northern Vermont. To this day, he continues to publish authoritative research in the field and to teach at Connecticut College. I wonder what his courses are like now? 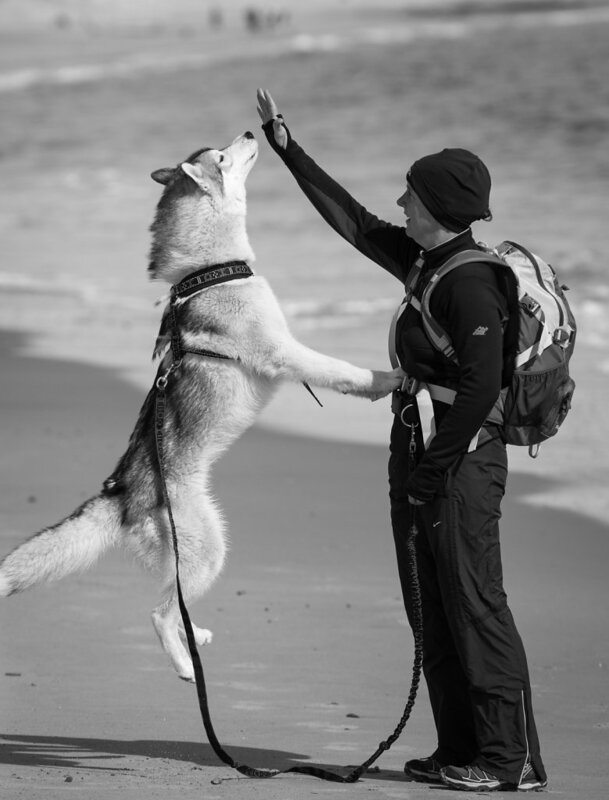 As mentioned earlier, I've made a number of return trips back to Napatree Point over the years, mostly in the late winter/early spring, often with wife and one of our huskies. 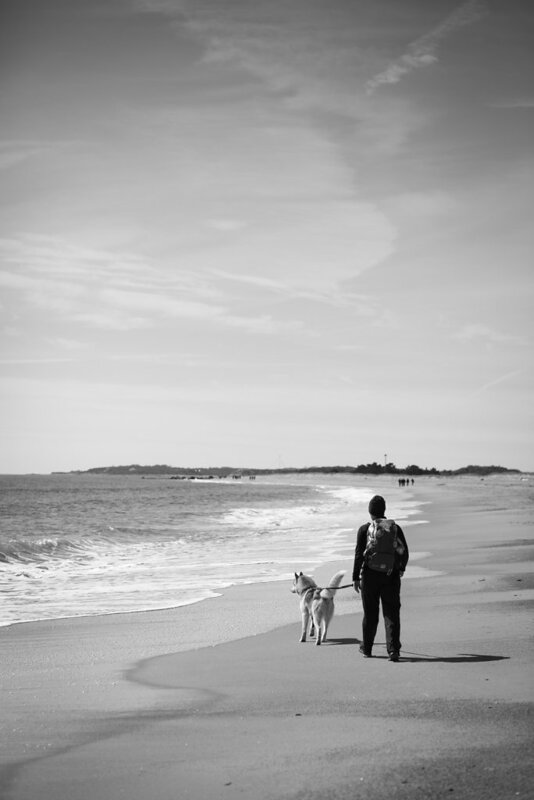 It's a time when the shorebirds have yet to arrive from their long northward migrations, and you can bring your dog to the beach and park for free. 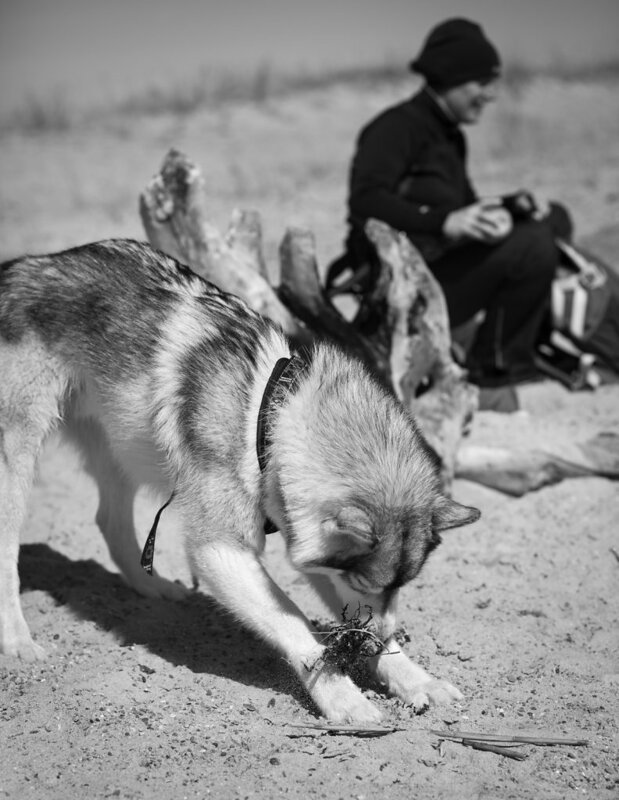 Our latest trip there was Timber's first brush with the sea and all things briny. Napatree's shoreline is extensive, lightly peopled during this season, and makes for an inviting launch pad for a day of fun and investigation. It remains, in essence, as I remember it back in 1986. Some places (and the lessons they impart) never get old, it seems. 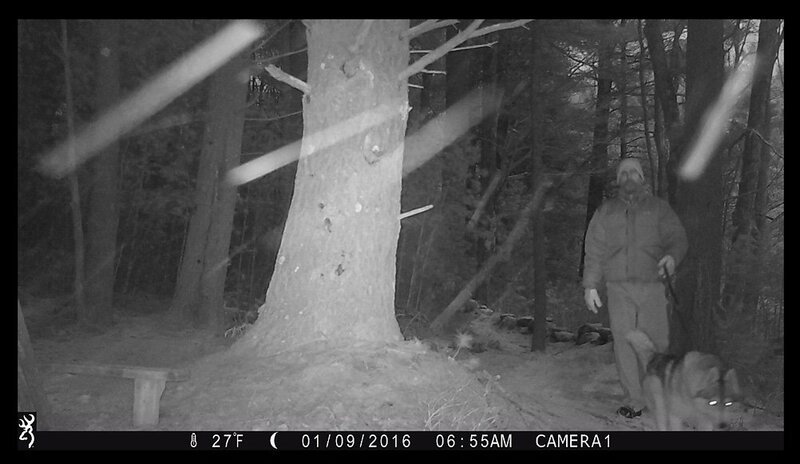 Back in early December, I put up a Browning Strike Force trail cam at the intersection of two paths that I had cut 15 years ago through the back of our New Braintree property. The trails meet close to the edge of Mason Pond, a small natural stream impoundment. Over the years, beaver families have come and gone and have further dammed the pond's outlet, thus raising the water level and making it safe for winter skating and for various wildlife to walk across the frozen surface to our wooded shore. As can be seen, the camera creates informational banners below each image that include temperature, moon phase, date, and time. It's hard to blame Browning for doing this, since there are no pre-existing IPTC fields for things like moon phase and temperature to neatly slot into. Nevertheless, a few incongruities remain worth noting. While the time stamp appears in the image banner using the 12-hour clock convention, it is embedded in the file utilizing the 24-hour clock or military time convention. Additionally, the date conventions differ slightly between banner image (mm/dd/yyyy) and embedded metadata (mmddyy). Finally, where the moon phase is represented as an icon in the banner, it is instead recorded with its corresponding numeric value in the metadata. In any event, the information is there to plumb once you understand the conventions by which it is embedded.